The Shadow Rock slim is a compact tower CPU cooler designed where space is at a premium but performance and quietness are required. 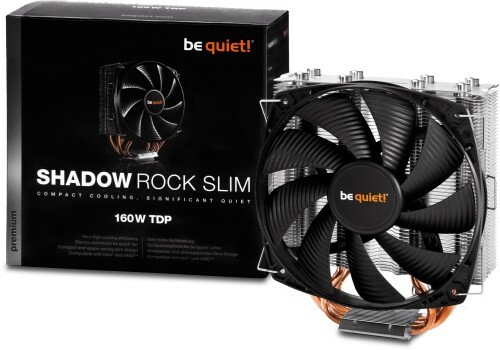 With the introduction of Shadow Rock Slim, be quiet brings silent and premium cooling technologies to the compact PC space. Shadow Rock Slim is not simply "another space saving cooler" — it is a first-class performer meant for gaming, multimedia and graphics-intensive compact PCs. Featuring an unrivalled price-performance ratio, renowned be quiet low noise operation and a distinctive attention to quality and detail, the Shadow Rock Slim is truly the best choice in the compact CPU cooler category. Impressive compact cooling capacity of 160W TDP. Four high-performance 6mm heat pipes carry heat from the nickel-plated copper base plate to the optimal locations on the cooling fins. Support of additional 120mm fan for enhanced cooling performance (fan clips are included). 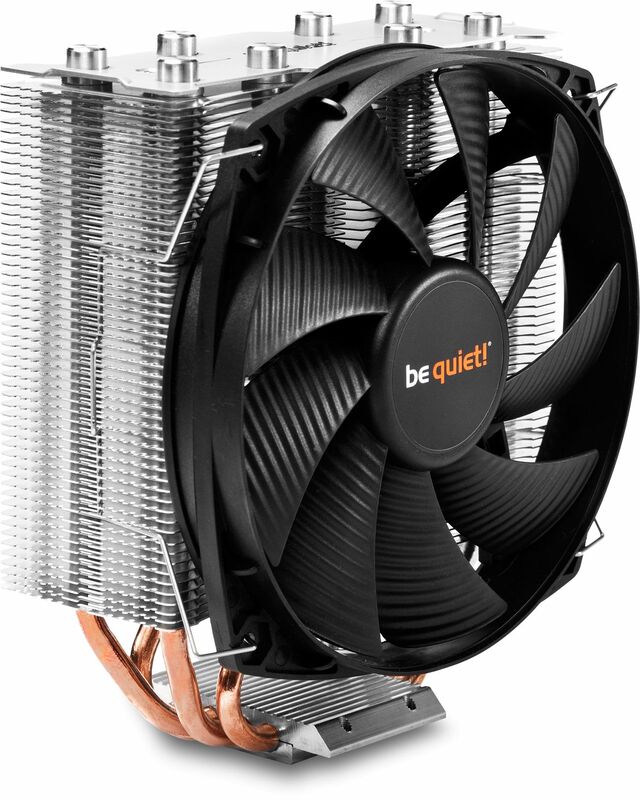 A quiet-optimised 135mm be quiet fan supports the best balance between cooling performance and quietness. Fan provides smooth operation thanks to nine airflow-optimised fan blades and durable rifle-bearing technology. Even at 100% full fan speed, overall noise is a scant 23.7dB(A). Compact design saves space and allows for easy access to RAM banks even within the tight confines afforded by some compact PC enclosures.